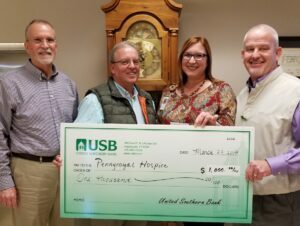 USB is proud to be sponsoring the annual fundraiser dinner for Pennyroyal Hospice. This years dinner will take place on April 25th. Pennyroyal Hospice serves 5 counties in Western KY and provides a very special kind of loving and compassionate care for the patient and the family.